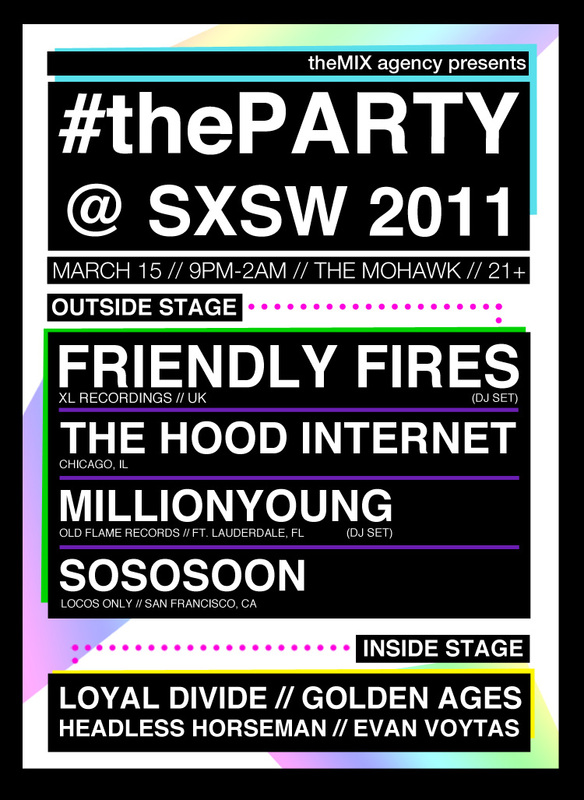 theMIX agency has thrown its hat into the ring for SXSW parties, announcing the #thePARTY 4 #thePeople. The Eventbrite page says the event will be more akin to a festival than a party, but no further details are available on what that means. 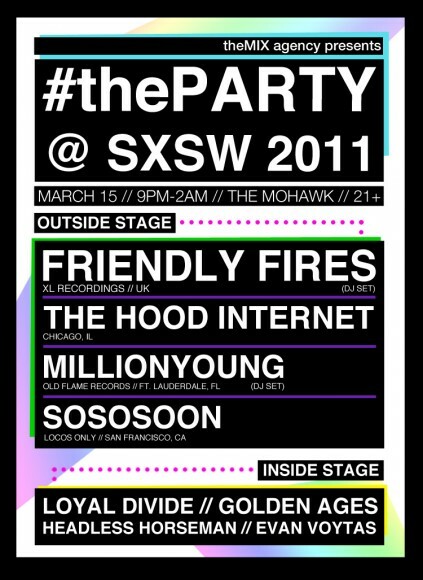 Check out the poster above for lineup and location details!